1 CH Micro-actuator Driver (PT5104) - Princeton Technology Corp. 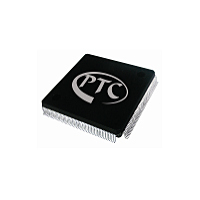 The PT5104 is micro-actuator driver IC with miniature package. It is one channel low voltage bi-directional motor driver IC. The design is optimal for driving different type micro-actuator, such as voice coil motor, piezo-actuator, or other dc motor actuator. It is suitable for camera module or other portable device.